Thanks to Google Fiber’s sudden rise and spread throughout the US, other broadband providers are starting to get “gigabit fever” and have their sights set on offering faster internet service. AT&T have thrown down the gauntlet in Austin, Texas. As soon as Google announced that Austin would be the second city to receive ultra-fast Google Fiber, AT&T quickly released a statement stating that it would be offering GigaPowerSM, their own version of a gigabit connection, in the Texan city. 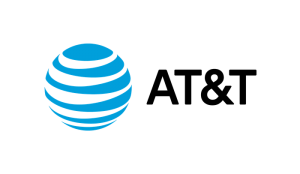 Whilst the AT&T service only runs at 300 Mbps presently, AT&T has promised an upgrade to a full 1 gigabit connection by mid-2014. AT&T aren’t the only ones to have succumbed to Google Fiber-induced gigabit fever. Time Warner Cable, CenturyLink and various other intra-state services have also announced their intentions to offer similar super-speedy connections.